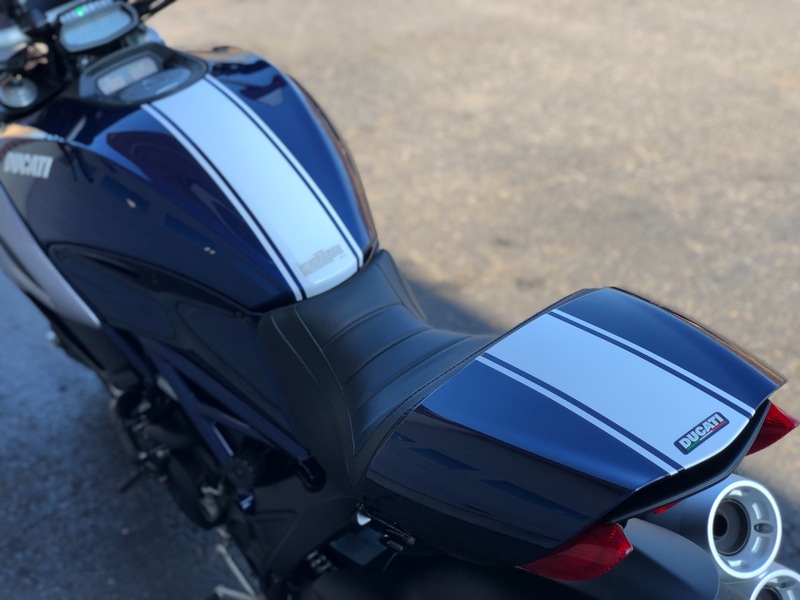 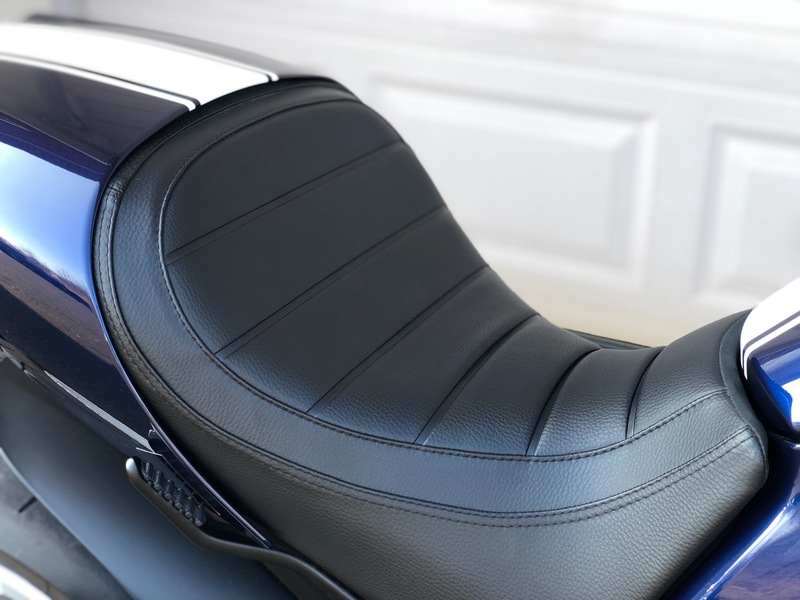 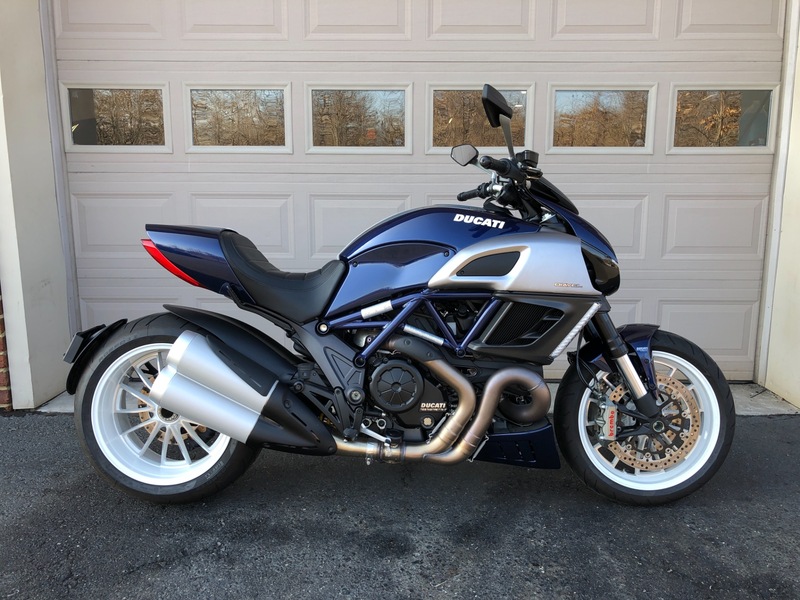 Jonathan Motorcars is proud to present for sale its immaculate Metallic Blue Street-Sport Diavel w/ White Corse Stripe. 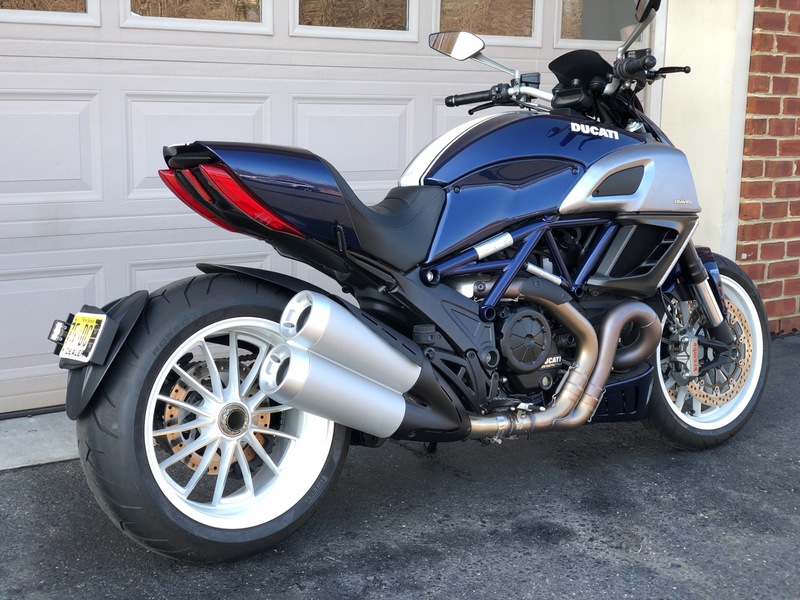 This Diavel was purchased brand new to be showcased alongside the matching Backdraft Racing Cobras, in a temperature controlled showroom. 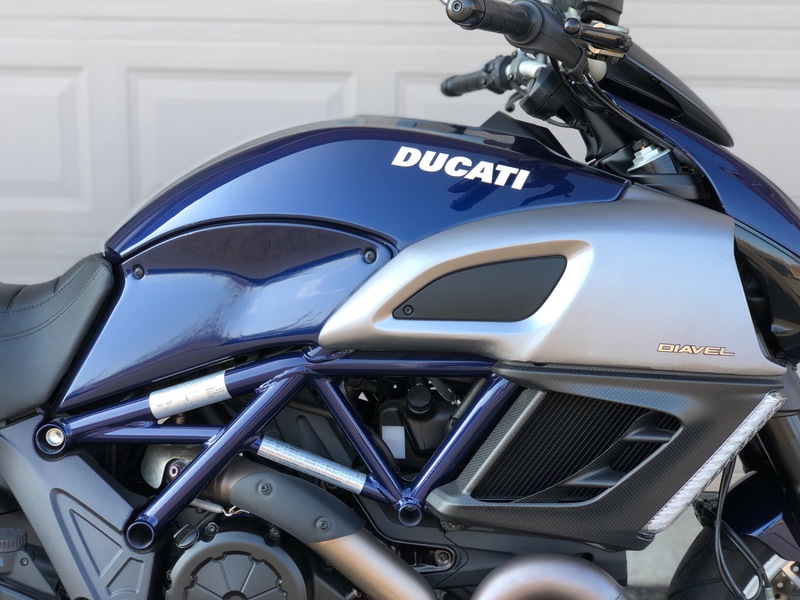 Since the day it arrived from Ducati, it has only ever been ridden once every few months to get fresh gasoline. 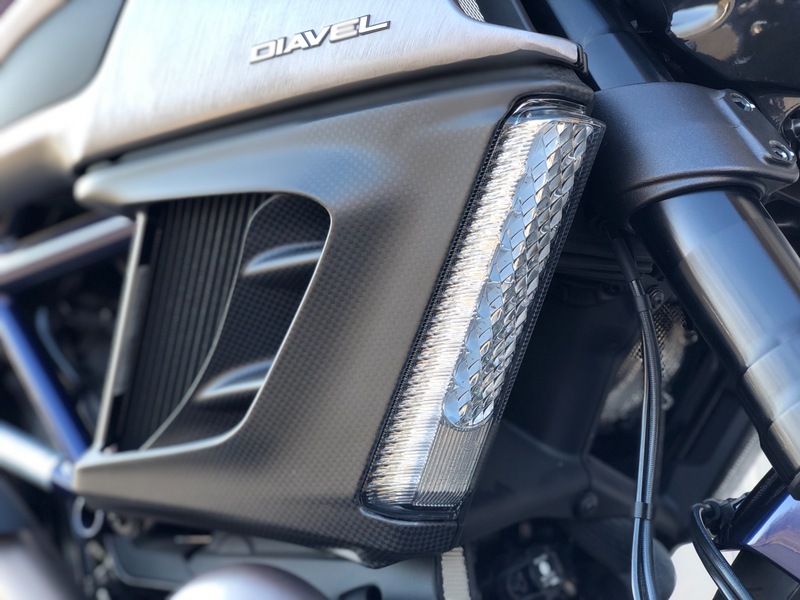 Being Ducati's flagship model, this Diavel came with the new 1198cc Testastretta 11* Engine producing a pavement ripping 162hp. 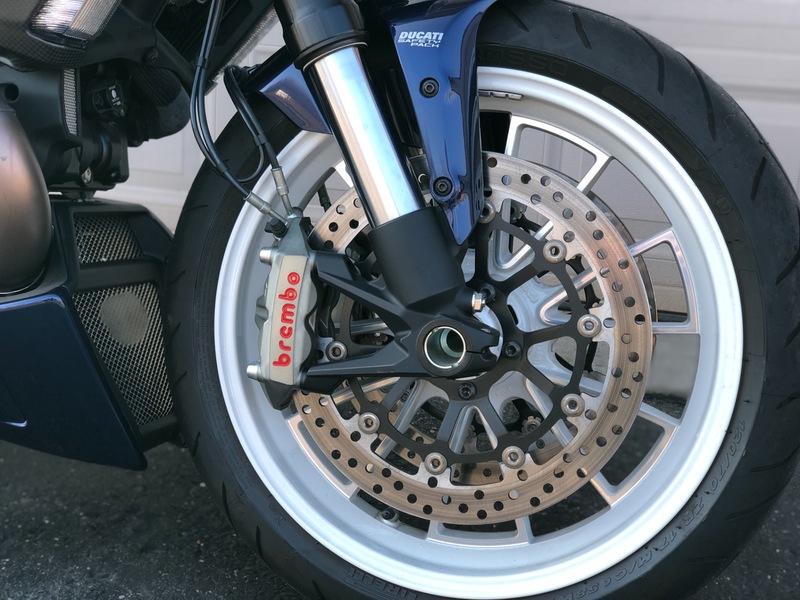 The power is put down using its massive 17x8 240/45 Pirelli Diablo Rosso II Wheel/Tire setup. 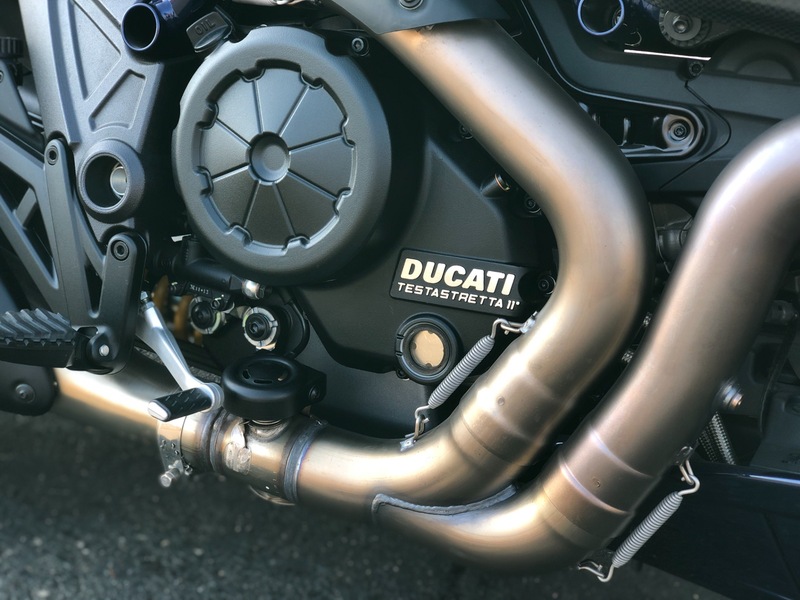 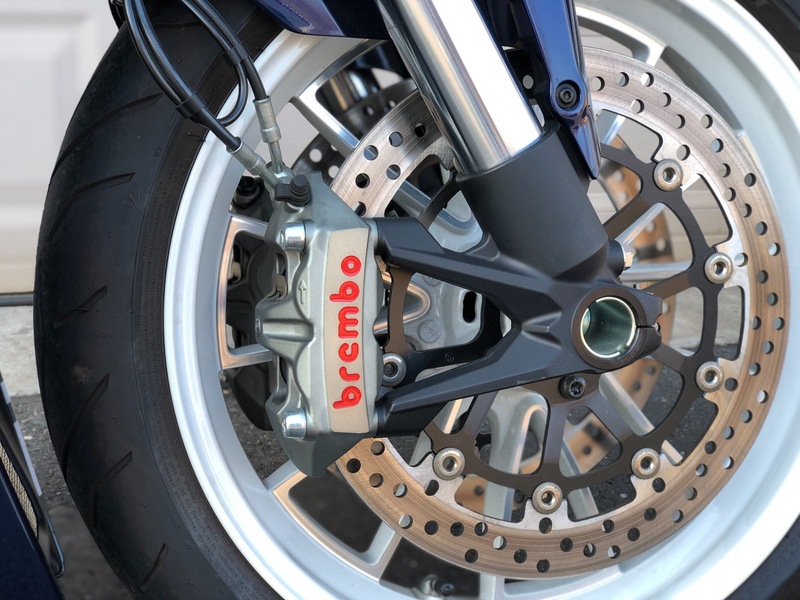 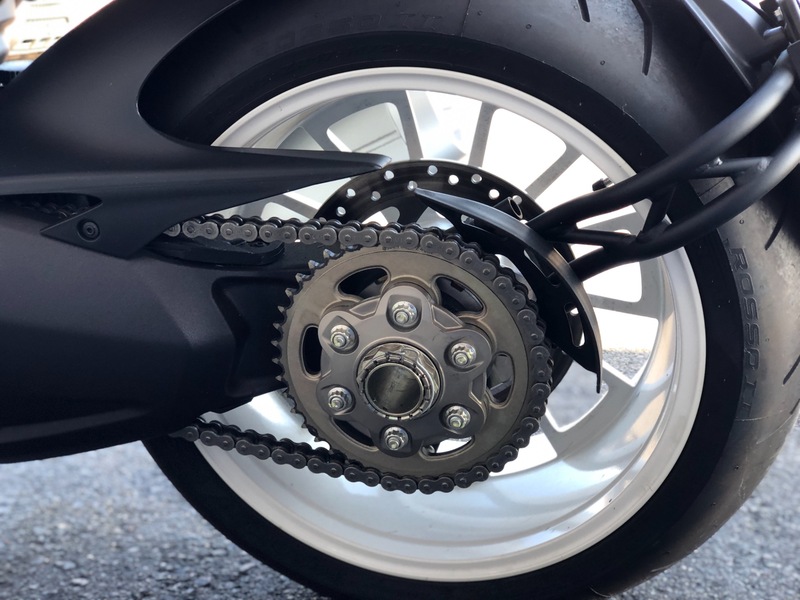 However, Ducati engineering is what sets the bike apart from all others on the road with its advanced Bosch-Brembo ABS System over 320mm Brembo brakes, Ducati Traction Control System, Ducatai Ride-by-Wire system, and its 3 driver oriented adjustable Riding Modes. 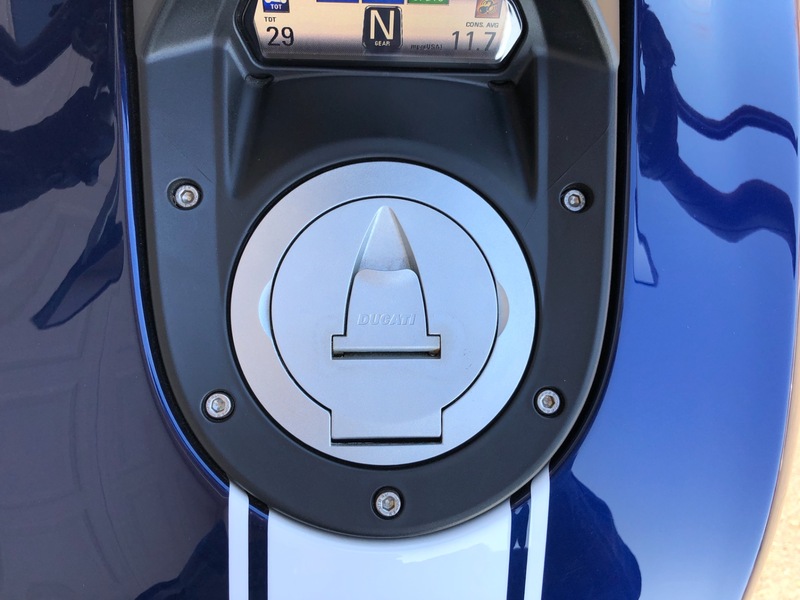 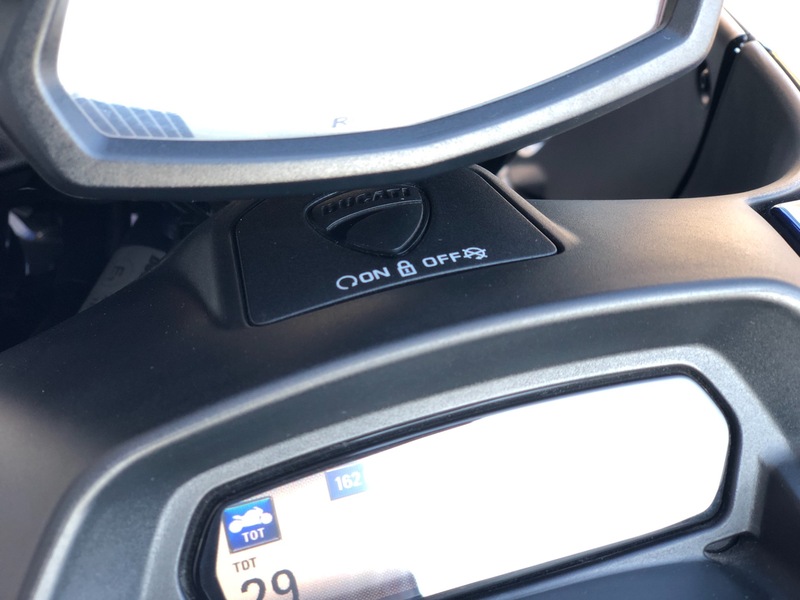 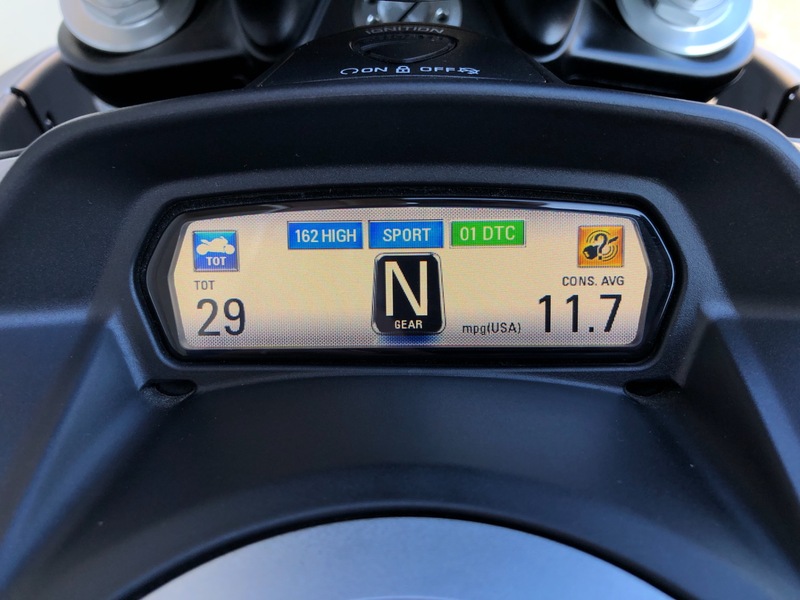 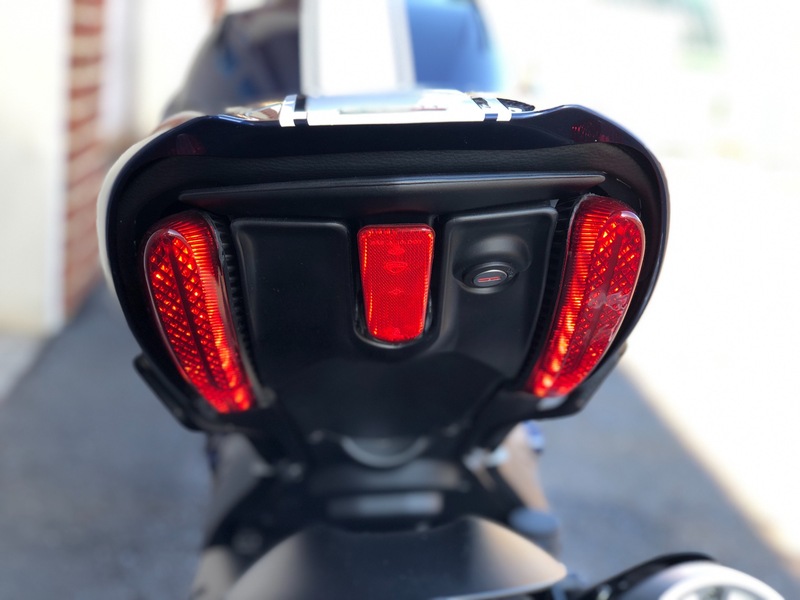 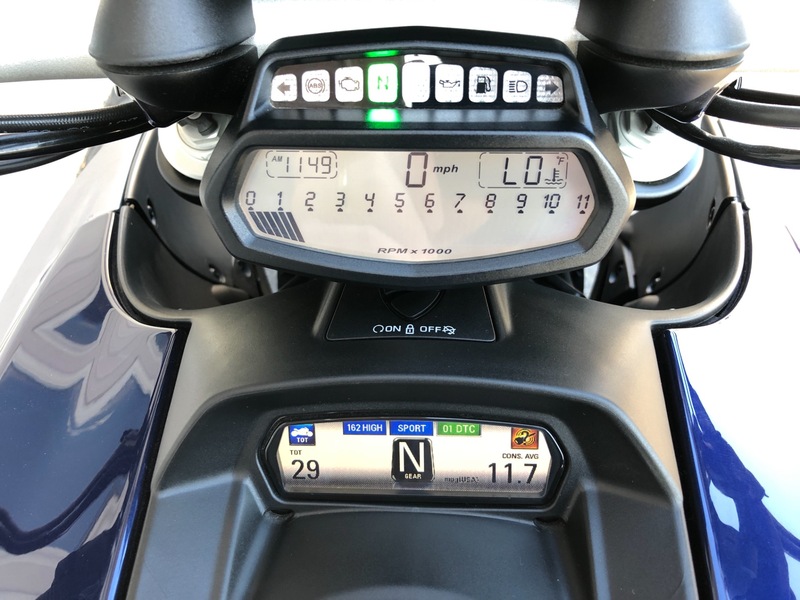 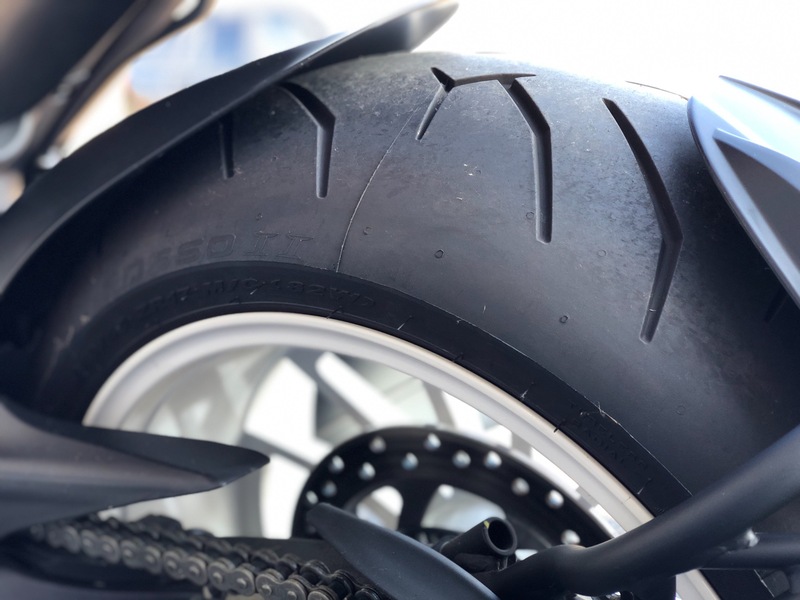 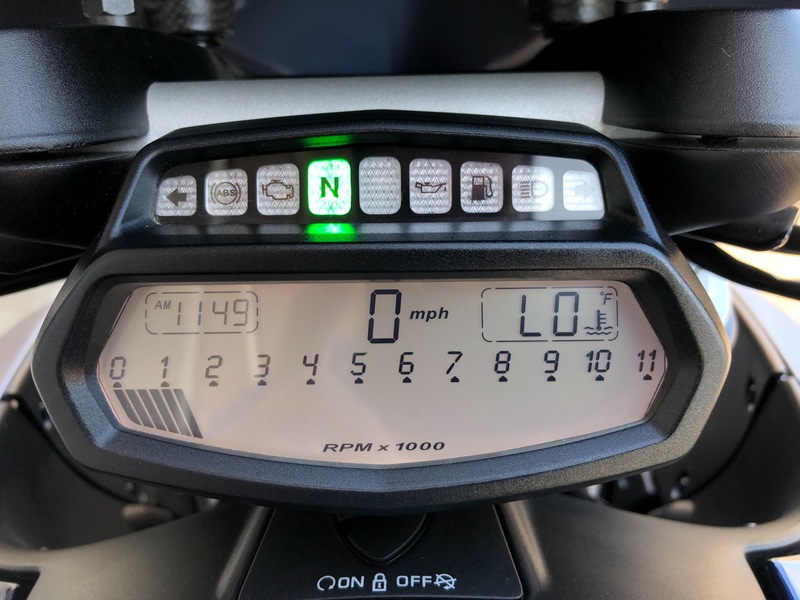 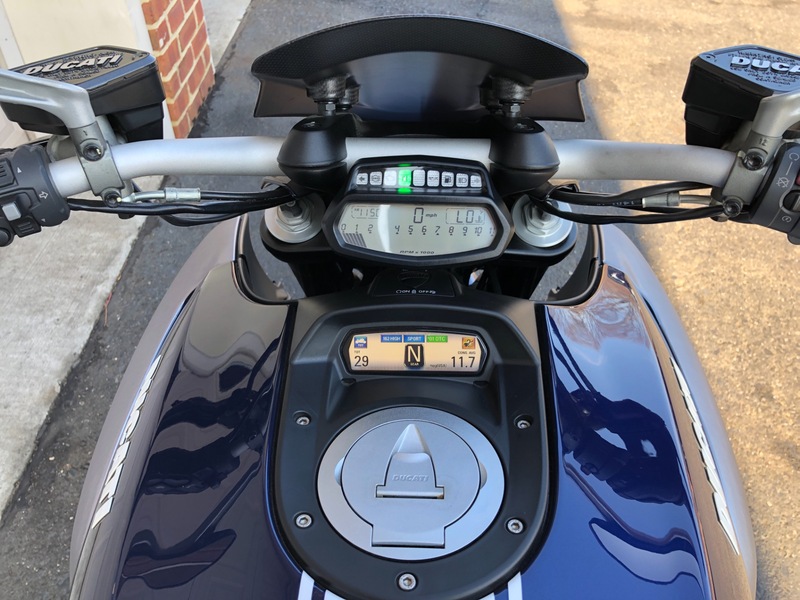 Its Urban Riding mode uses 100hp with Ducati Traction Control setting 5 for stop-and-go traffic, Touring mode with increased horsepower and DTC lowered to level 4, and the heart wrenching Sport rider mode with 162hp, full throttle response, and Ducati Traction Control set to level 3. 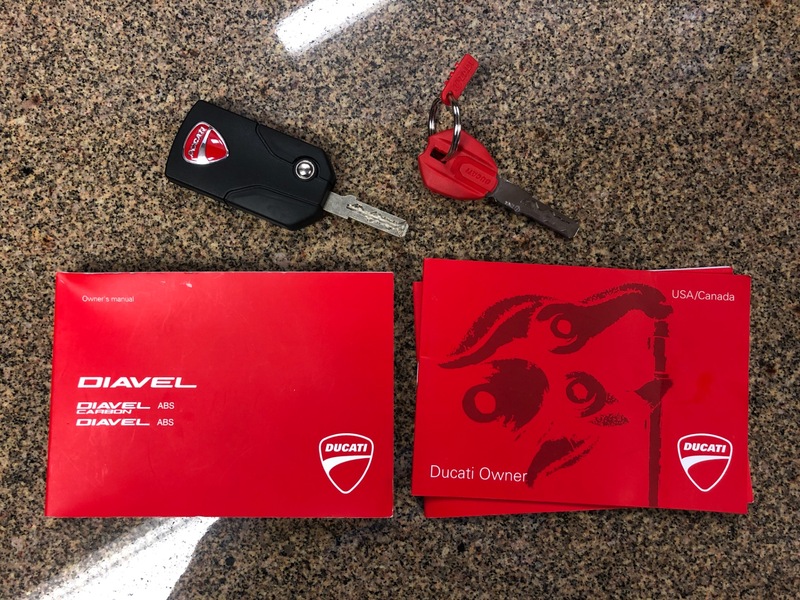 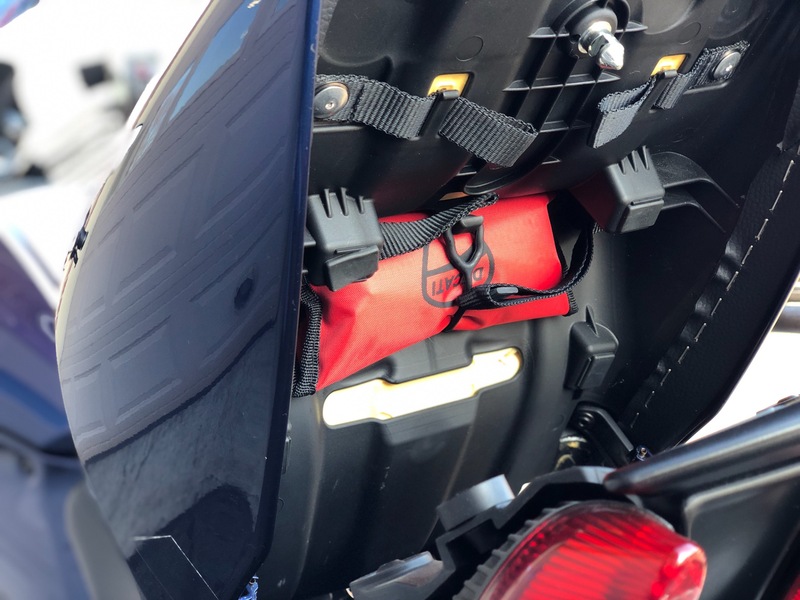 Accompanying the Diavel are its original set of 2 keys, owners manuals, and tool kit. 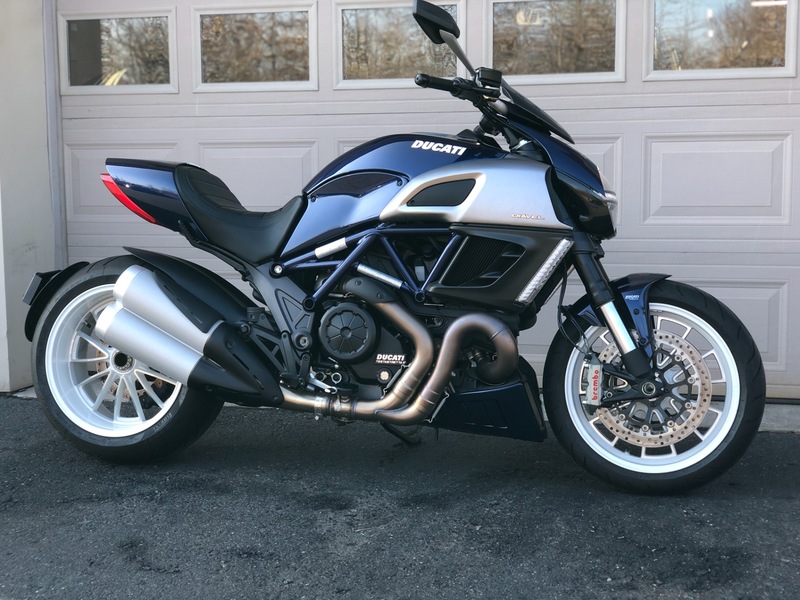 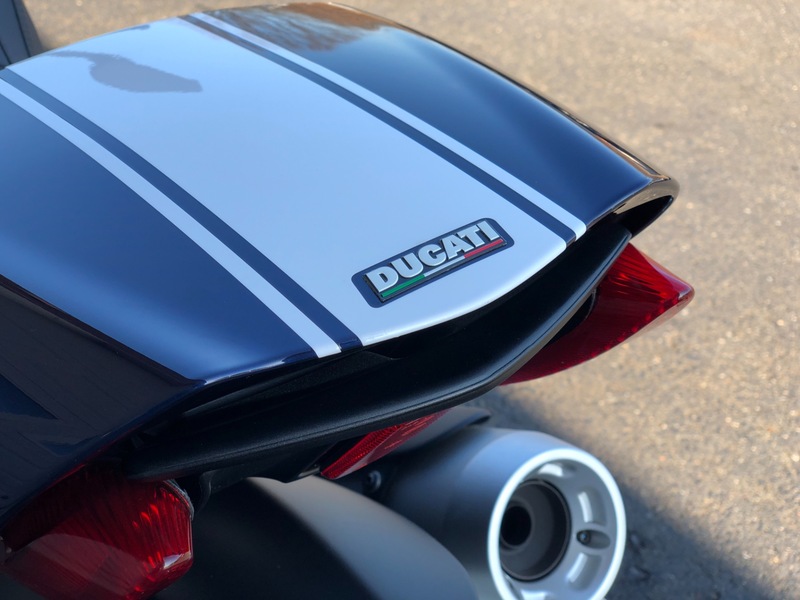 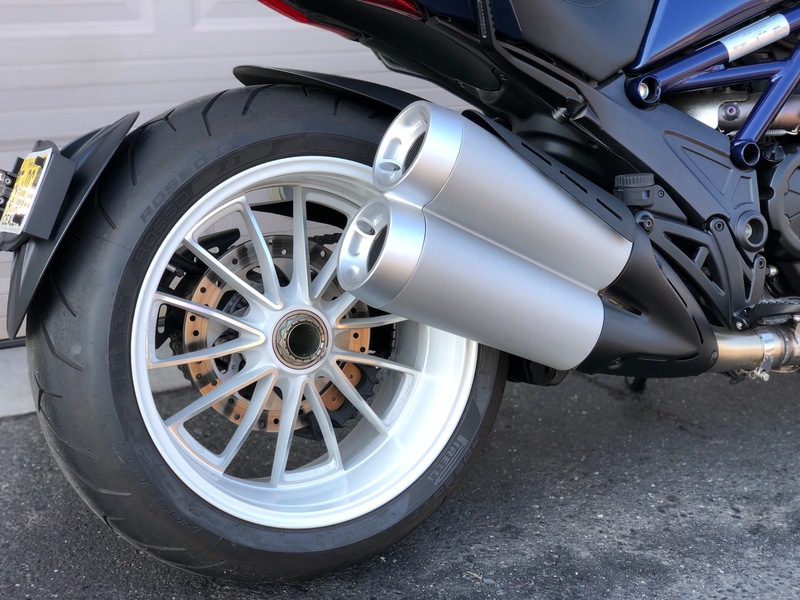 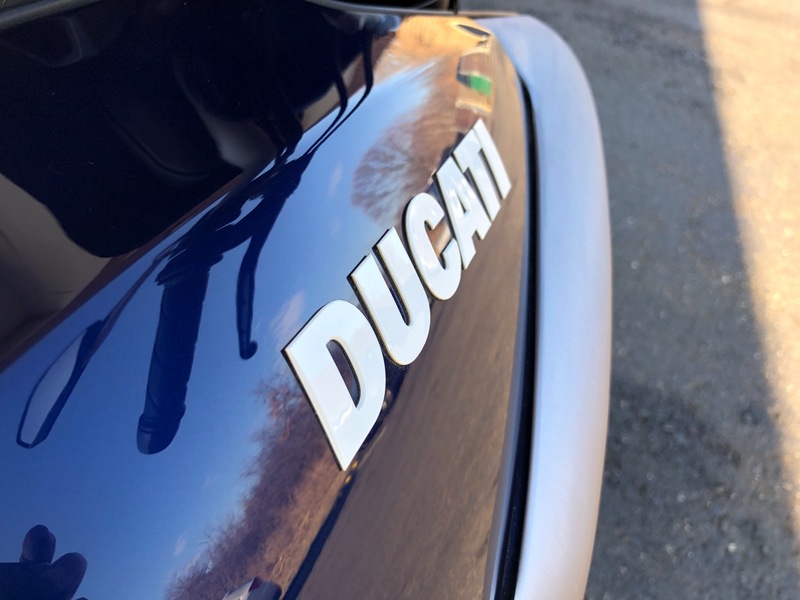 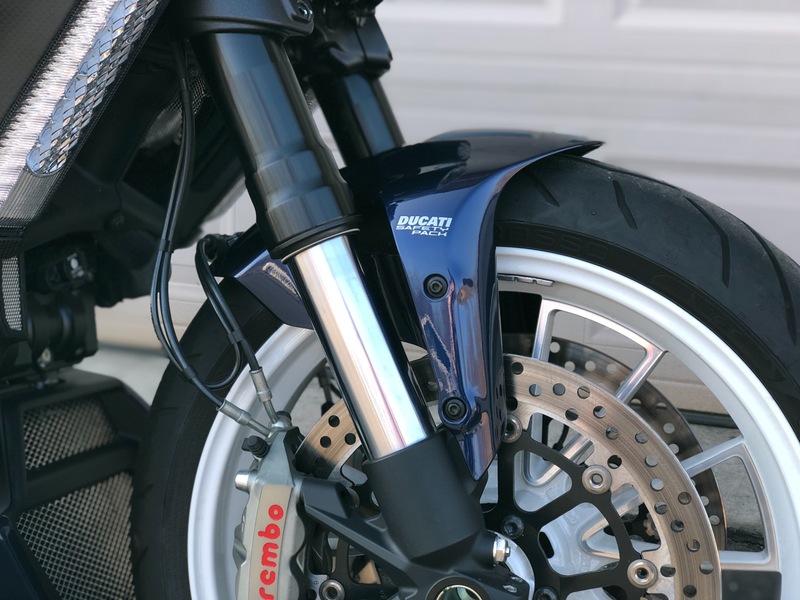 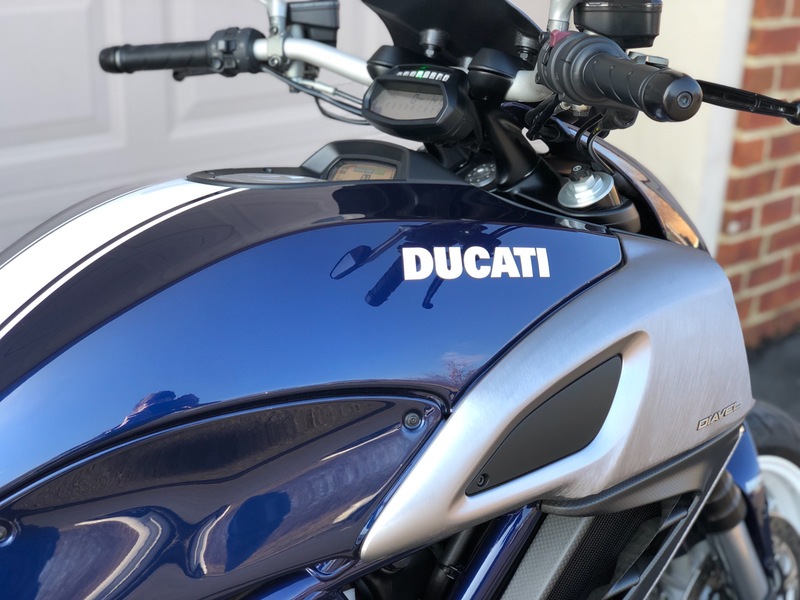 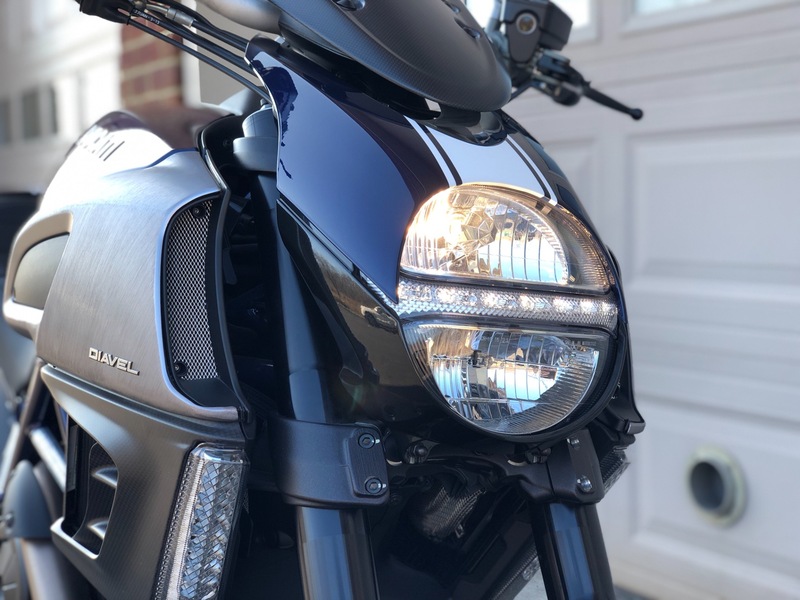 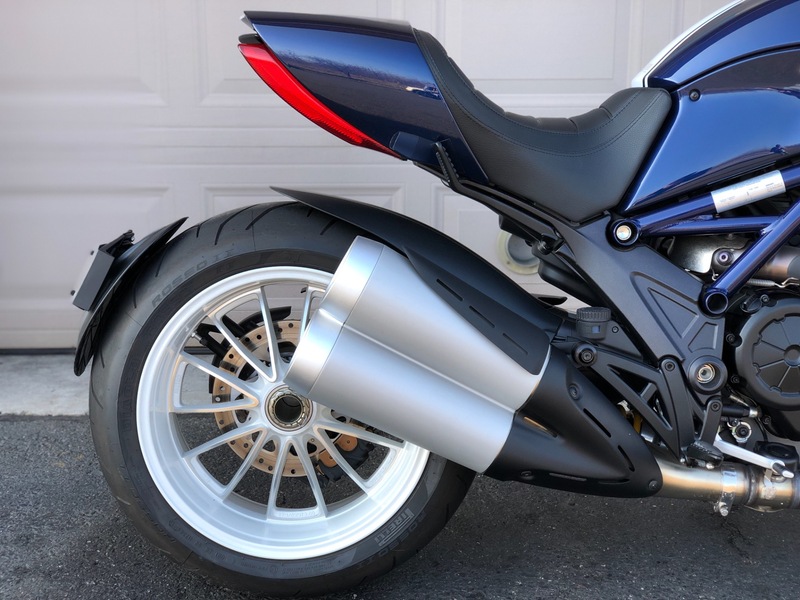 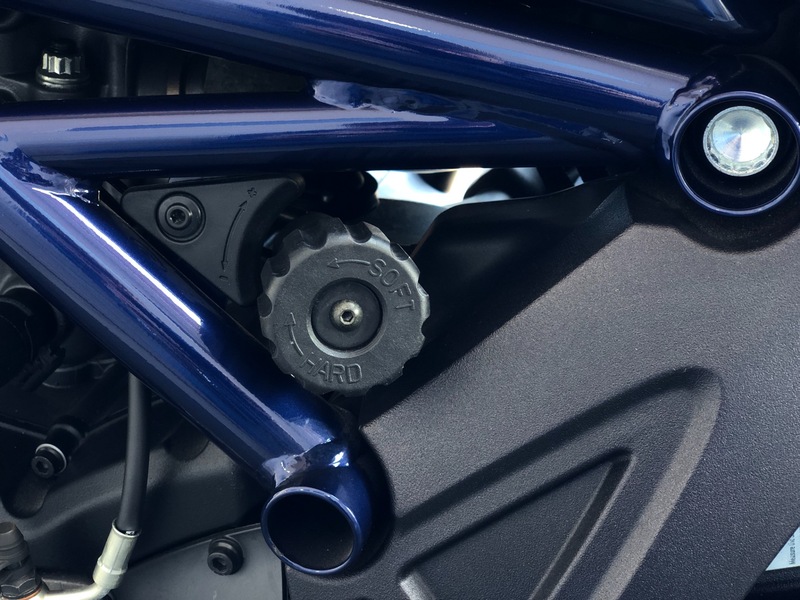 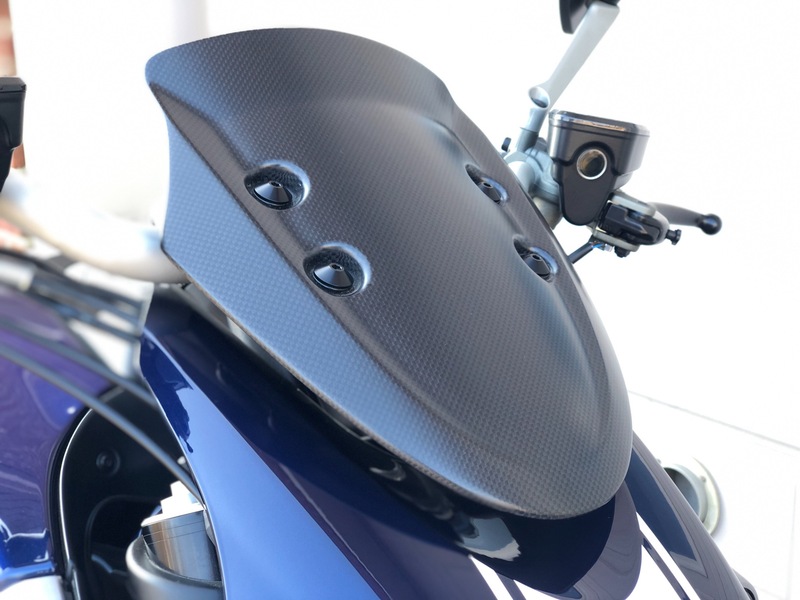 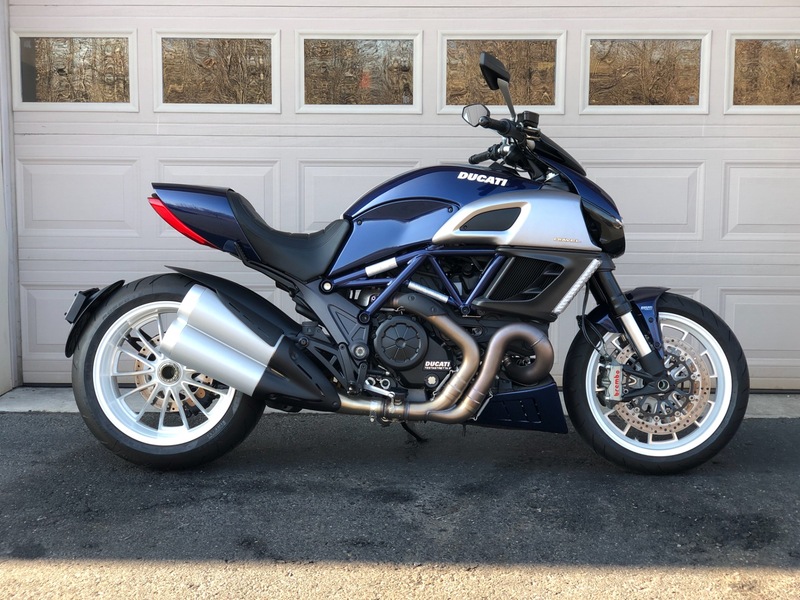 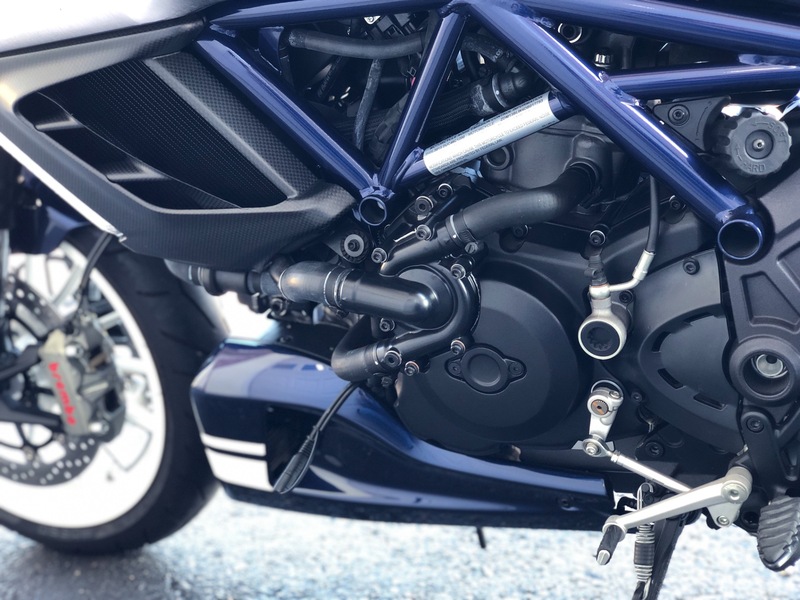 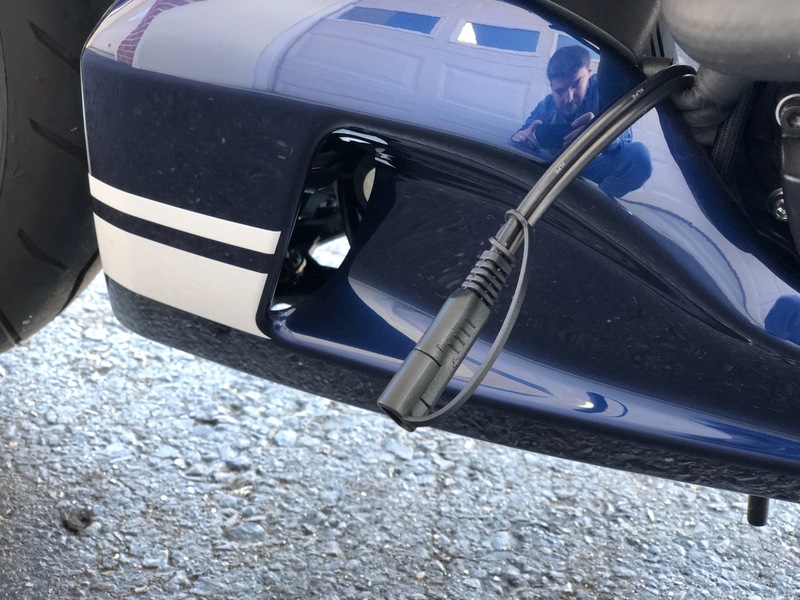 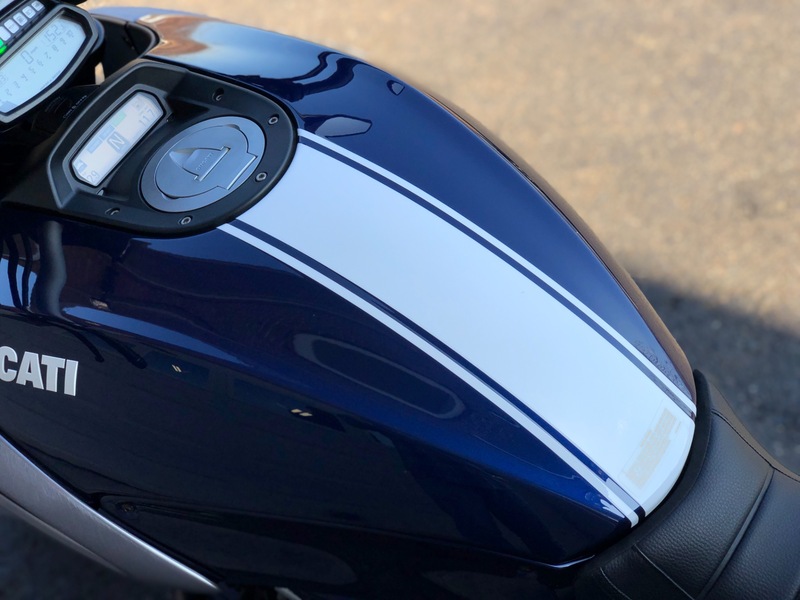 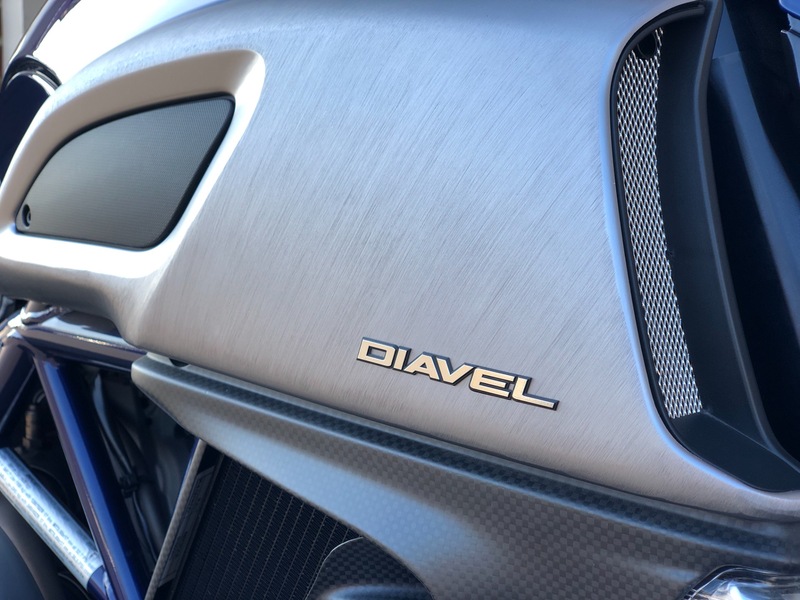 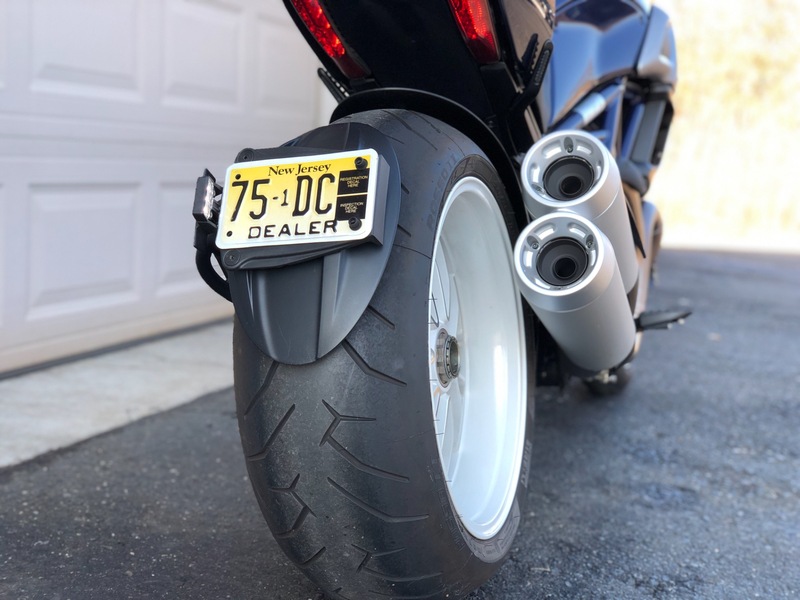 This Ducati Diavel Blue is cosmetically and mechanically like new. 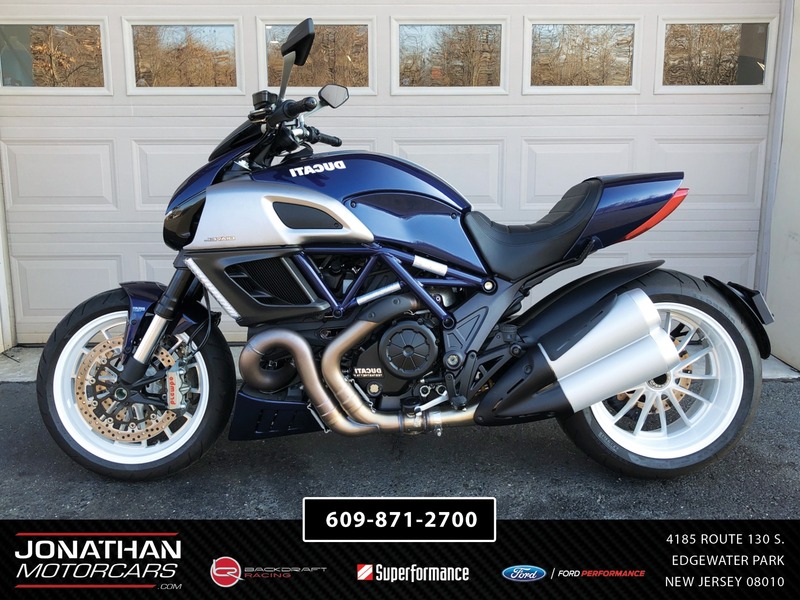 Contact us today (609)871-2700 to schedule your visit.